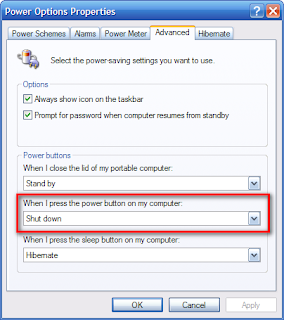 What can the power button does instead of to switch on the computer. By default, it will usually bring the computer to stand by mode. However, you can actually change the function of the power button. To change the function of the power button. Click on Start > Run. 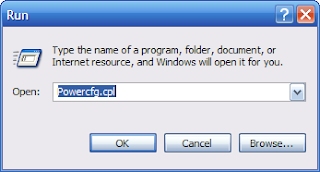 Type Powercfg.cpl. Click OK. 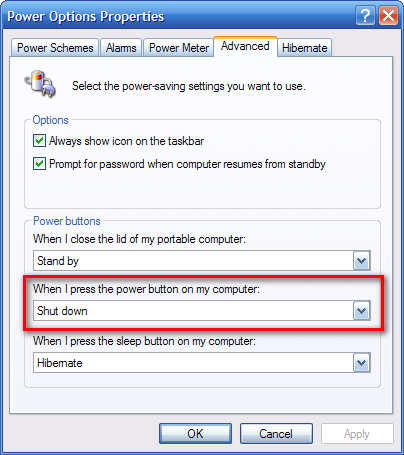 In the Power buttons region, under "When I press the power button on my computer" option, click the drop down menu to choose the available functions. Usually, you will see Do nothing, Ask me what to do, Standby, Hibernate and Shut down. thanks alot man i looked everywhere for this. this helped me alot.